ZANESVILLE, Ohio. – If you were at the Colony Square Mall this weekend, you would have gotten to see some amazing motorcycles. A few local motorcycle clubs brought about 40 bikes to the mall. One of these clubs belonged to the Pastor of Rushing Wind Biker Church, Michael McGuire. He said it was a great way to show the bikes to friends and family. “We brought in about 40 motorcycles on Thursday Night. For three days we’ve invited the community of motorcyclist and our friends and family to come out to bring their children and see all of the motorcycles and look at them. It will give us a chance to share what we do here in the community through Rushing Wind,” said McGuire. McGuire said motorcyclists sometimes get a bad name for their actions. Though he said when people come out and meet these groups they will realize there are a lot of great people here. McGuire was thankful so many great clubs came out this year to show their support. 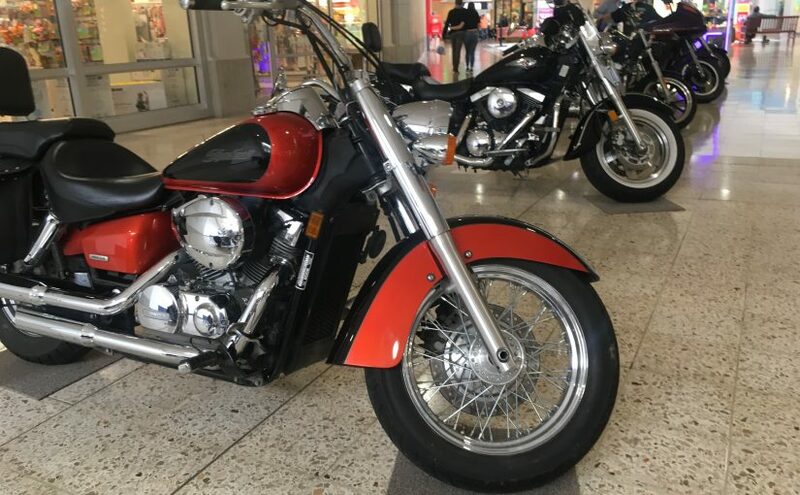 “We’re fortunate enough this weekend to have the Gold Wing Road Riders with us, The Combat Vets are with us, they have a nice bike that has been placed in our Colony Square Mall Bike Show. We have the Usual Suspects Motorcycle Club, The Zanesville V-Twin Cruisers are with us. We have veterans represented here, Rushing Wind Biker Church. It’s just a great event,” added McGuire. Today was the last day of the bike show at Colony Square Mall. Though McGuire said it was a great experience and hope to be back next year.